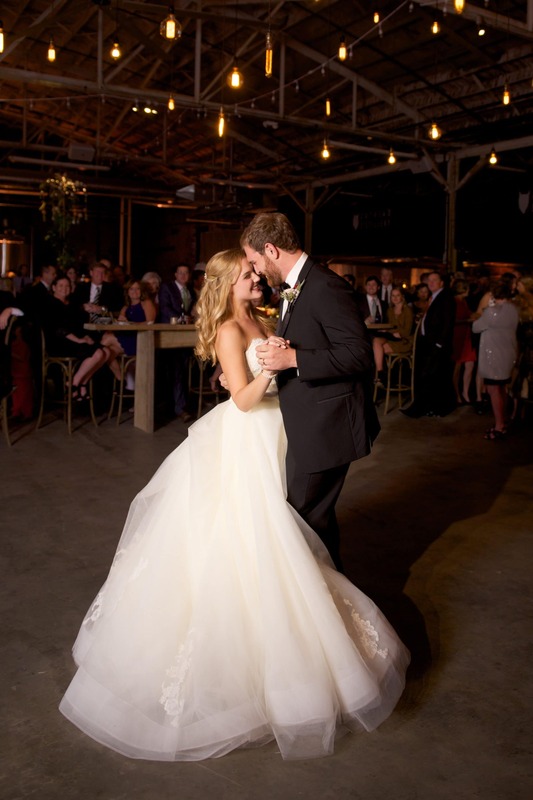 Gates and Kyle’s wedding paper trousseau captured the couple’s abundant southern charm with traditional tailored touches and a refreshing color palette for a November wedding. 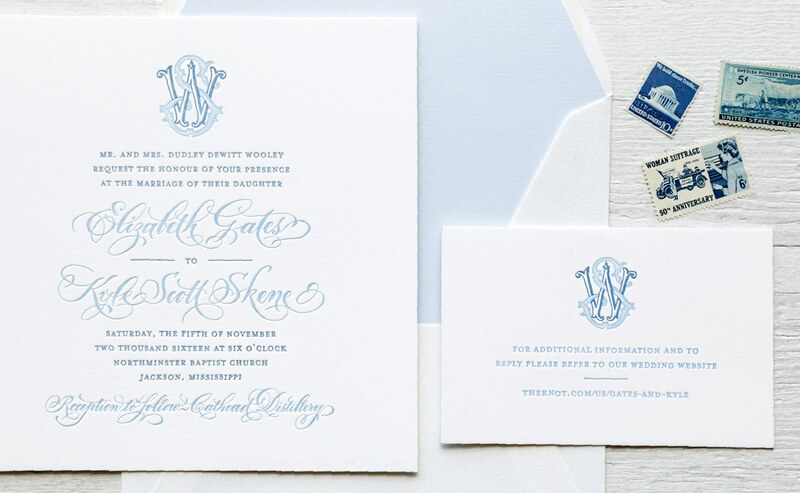 Their tone on tone cipher monogram in shades of blue keeps this letterpress invitation fresh and preppy, while flowing calligraphy adds a look that is at once youthful and classic. A custom cipher monogram nestled in an antler frame adds a masculine element to the rehearsal dinner invitation. 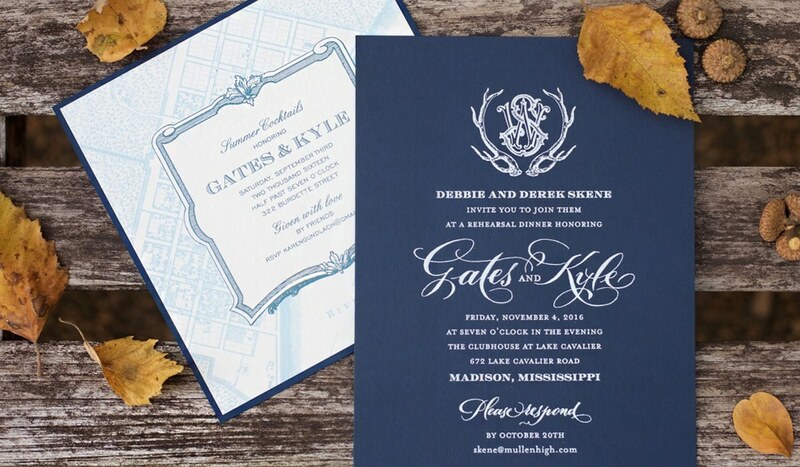 The dark blue stock foil stamped in white further enhances the couple’s color scheme. Here, the calligraphed names from the wedding invitation present a more casual look. Summer cocktails honoring the couple featured a map of New Orleans, soon to be their forever home. The calligraphed names and cipher monogram from Gates and Kyle’s wedding trousseau added a personal touch to napkins, cups, and koozies. 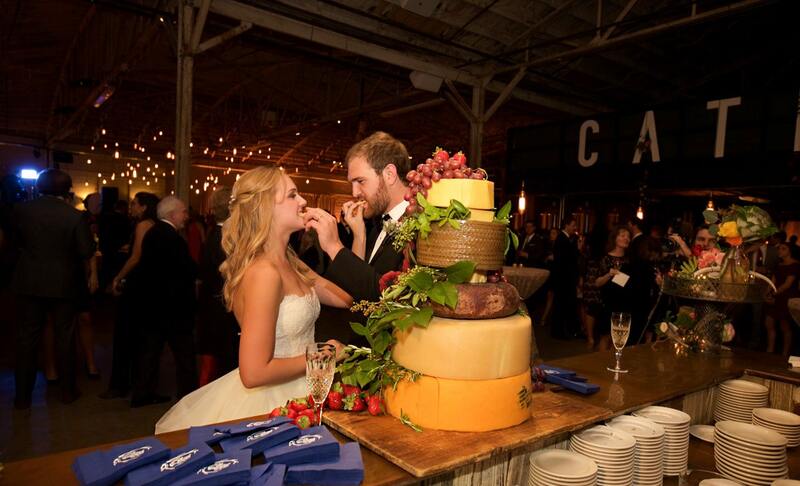 We are all smiles to see monogrammed napkins next to this beautiful confection. 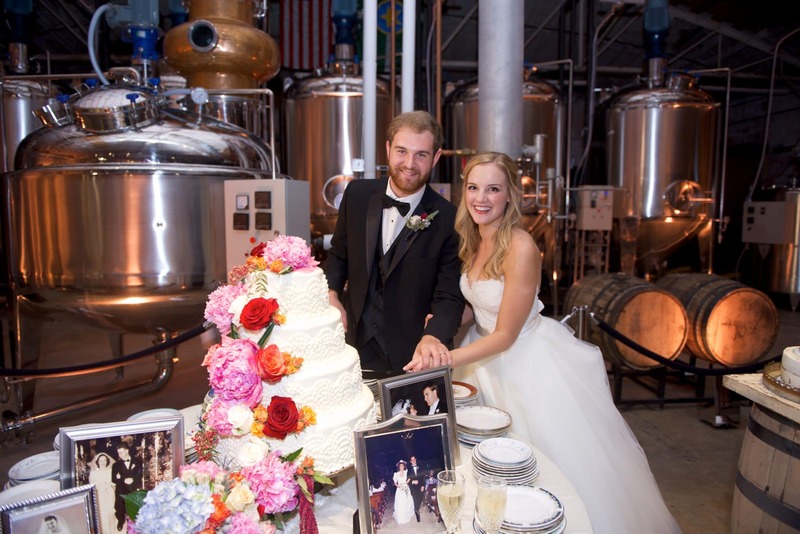 We’re not sure what’s more impressive – the dramatic backdrop of copper vessels at Cathead Distillery, or the couple’s cake table arrangement complete with a collection of relatives’ wedding photos. 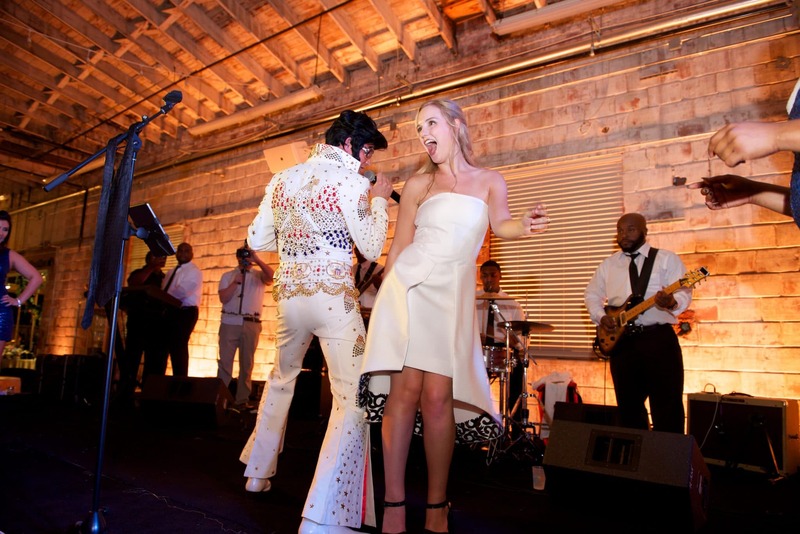 Cheers to a beautiful couple and a liftetime of love!